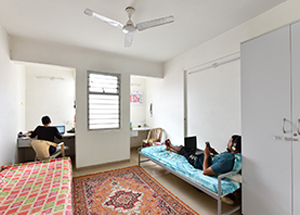 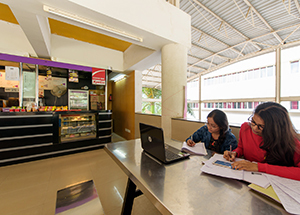 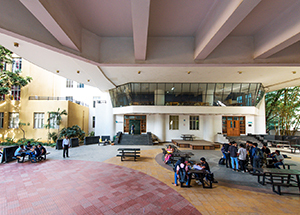 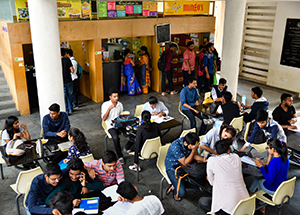 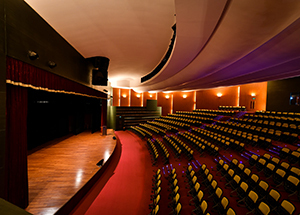 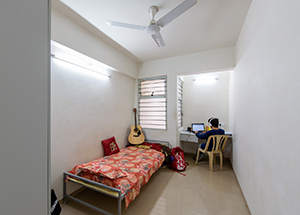 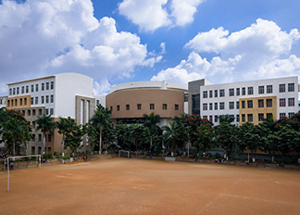 Spread over 8 acres, the CMRIT campus is spacious and well laid out. 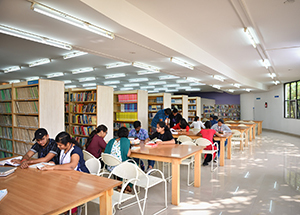 A spacious library with plenty of natural light. 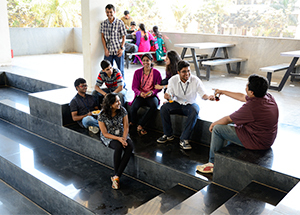 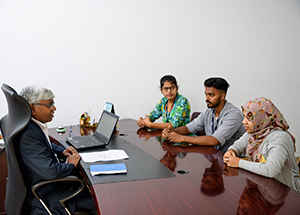 An informal meeting and discussion space, the lounge also doubles up as a mini cafeteria. 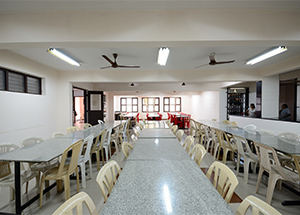 The canteen is active through the day, and serves up a variety of food and snacks. 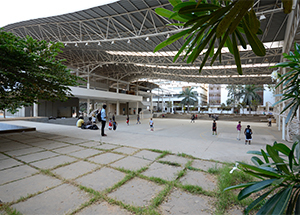 Two covered basketball courts with flood lights for evening matches. 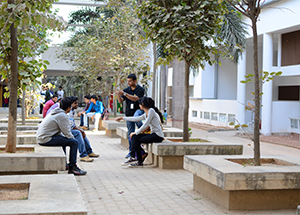 This is one of the most active parts of the campus. 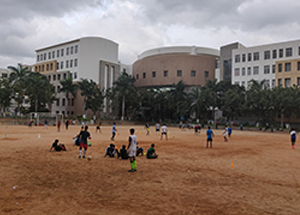 A large ground for games such as football and cricket. 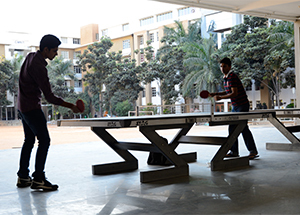 Two table-tennis tables within the cafeteria campus.